ABC has announced a new documentary called The Show Must Go On: The Queen + Adam Lambert Story, which (as the title suggests) traces the legendary British band’s time working with the 37-year-old American singer. 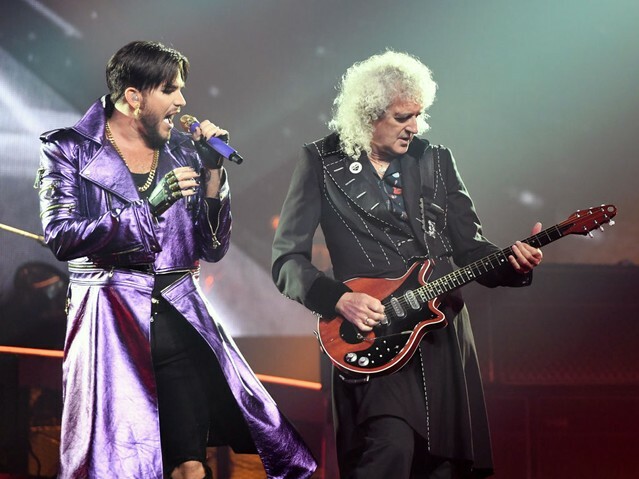 Queen first worked with Lambert when he was a finalist on American Idol in 2009, and their partnership was cemented when Lambert went on tour with them for the first time in 2012. As well as focusing on Queen’s evolution since the death of Freddie Mercury in 1991, the two-hour film will trace Lambert’s rise to prominence, featuring interviews with his family and Simon Cowell. Other talking heads will include Queen’s Brian May and Roger Taylor, Rami Malek, and Foo Fighters’ drummer Taylor Hawkins (why not?). The documentary will air on April 29 on ABC. Queen and Lambert are set to go out on tour together this summer. At the Oscars this past Sunday, the band performed their hits “We Will Rock You” and “We Are the Champions” to kick off the show. Later in the night, Bohemian Rhapsody lead Rami Malek took home the award for Best Actor. Read more about The Show Must Go On at ABC’s website.